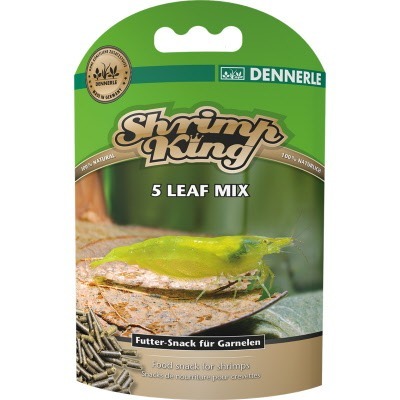 Freshwater shrimp and even snails will love Shrimp King 5 Leaf Mix. 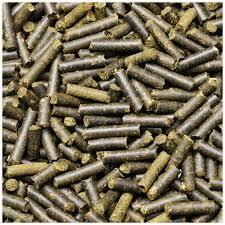 These sinking food sticks are purely vegetarian and comprised of 100% natural ingredients, which include the leaves of stinging nettles, birch, mulberry trees, walnut trees, and peppermint. It is recommended that you offer about one stick per 20 dwarf shrimp. Any uneaten food should be removed after 24 hours.